Double hinged bellows consists of two bellows joined together with a central pipe and dual hinge mechanism. These kinds of bellows are designed to absorb angular and lateral movements but again only in single plane. 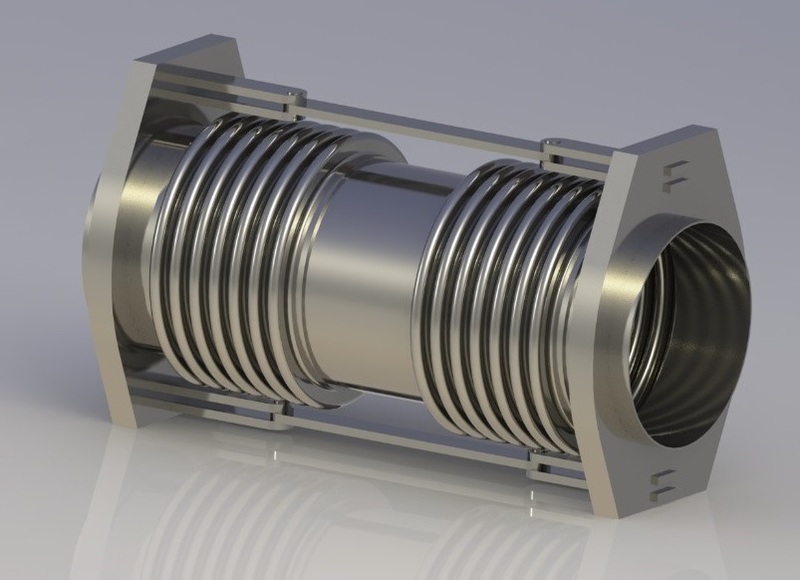 Double hinge bellows absorb pressure thrust of the system, hence eliminates main anchors, but it still requires well-planned guide system.